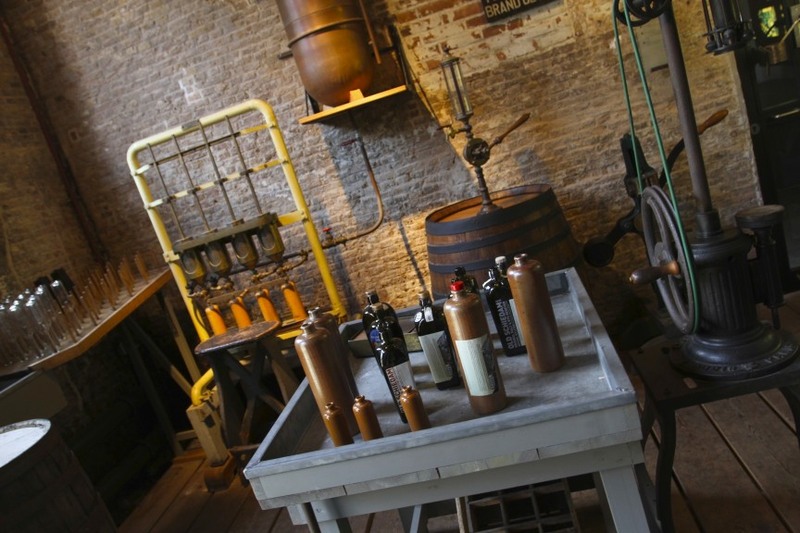 The Industrial Revolution is rarely remembered fondly, mostly with good reason. It may have brought great progress for humanity, but from William Blake’s “dark Satanic mills” to Friedrich Engels’ The Condition of the Working Class in England, the Industrial Revolution was the loss of innocence that sank the poor into a man-made hell. Creating an underclass crammed into inhumane conditions in insanitary city slums. 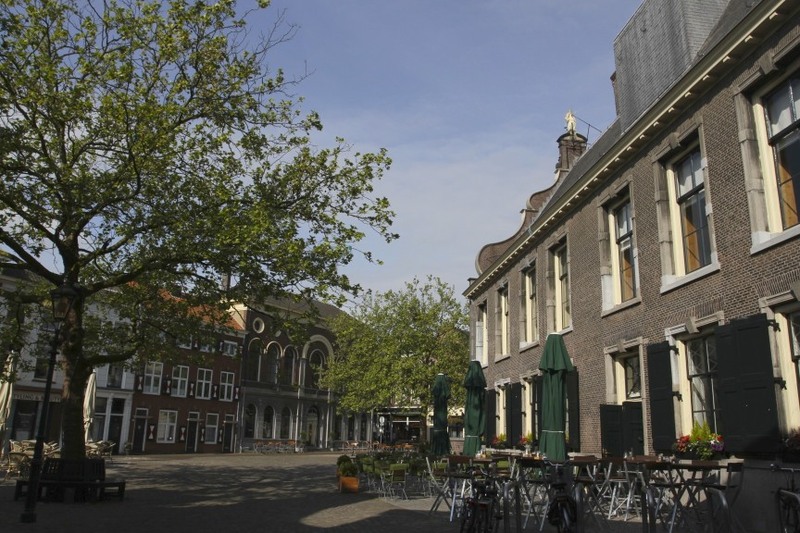 Walking Schiedam’s picturesque streets today, it seems implausible that during the Industrial Revolution it earned itself the nickname Zwart Nazareth, or Black Nazareth, thanks to the filth created by industrialisation. 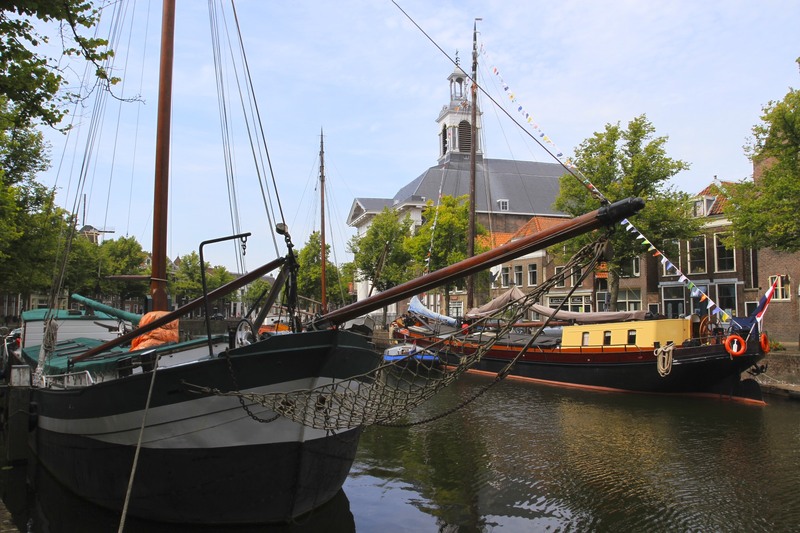 Unlike much of the Netherlands, Schiedam’s ‘Golden Age’ came not in the 17th Century but in the 18th Century when the making of jenever, or Dutch gin, flourished. 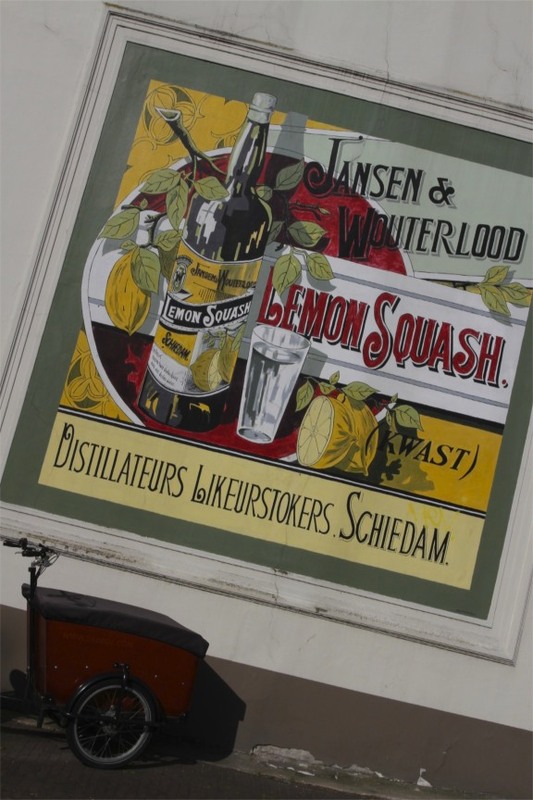 There were hundreds of distilleries in Schiedam, all producing the – in my opinion – horrid tasting jenever. The thick smoke from the distilling of gin gave the town its nickname, and I imagine the smell must have been a similar hazard. English troops, allied to the Netherlands in the 18th Century, didn’t mind though. 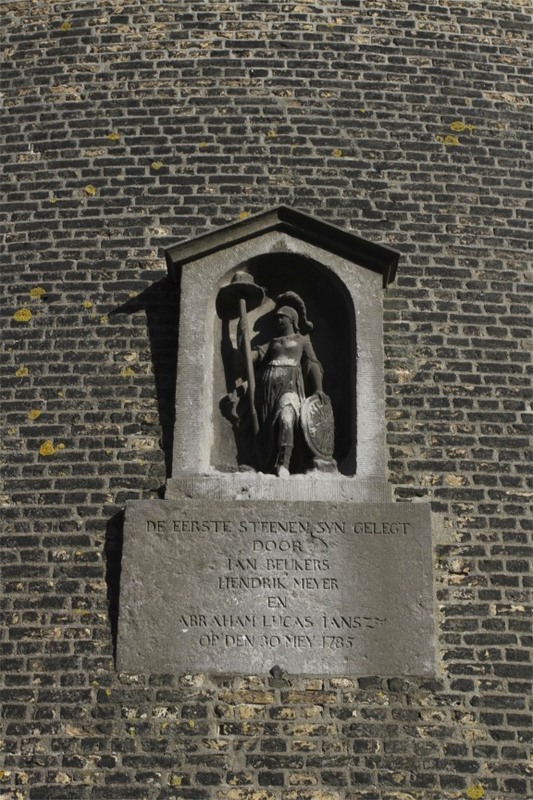 They got jenever to stiffen their nerves before battle – the original Dutch Courage. 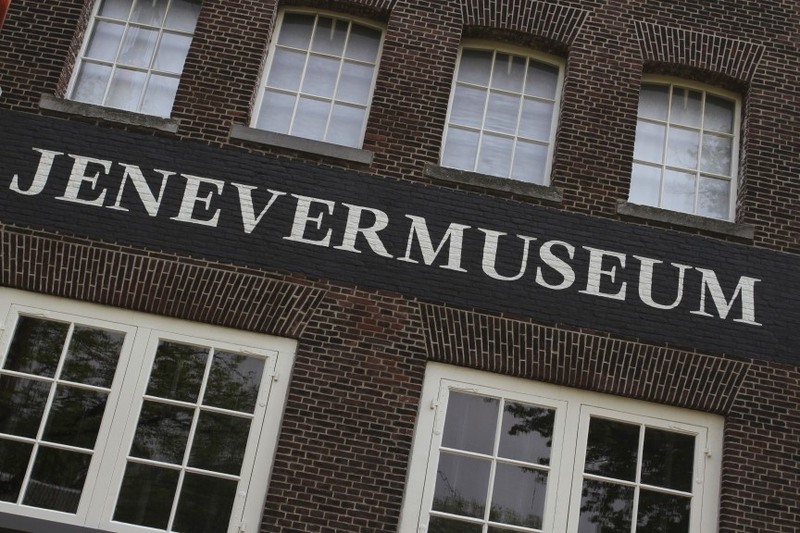 Celebrating this boozy history is the National Jenever Museum, located in one of the old distilleries alongside the main canal. It’s a small, informative museum, which includes a well stocked bar just in case you fancy a quick taste test. It may be the ancestor of gin, one half of the refreshing G&T beloved of England, but it tastes nothing like it. I’ve tried both ‘young’ and ‘old’ jenever, neither is very pleasant. In the Netherlands I’m definitely in the minority. It’s one of the nation’s most popular drinks, and there is fierce rivalry with Belgium for bragging rights to who makes the best version. Although there are a couple of areas in France and Germany that make jenever, it’s the national drink of both Belgium and the Netherlands. 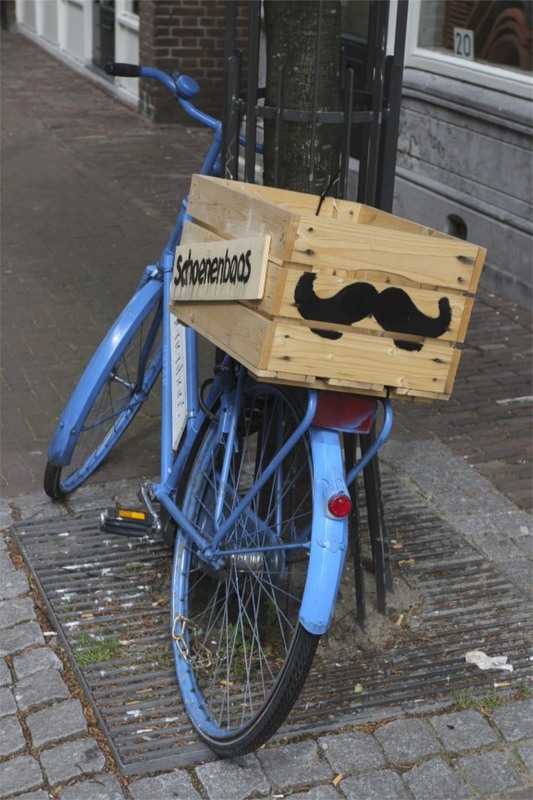 The Dutch market it as “essentially Dutch”; the Belgian’s as “the spirit of Belgium”. 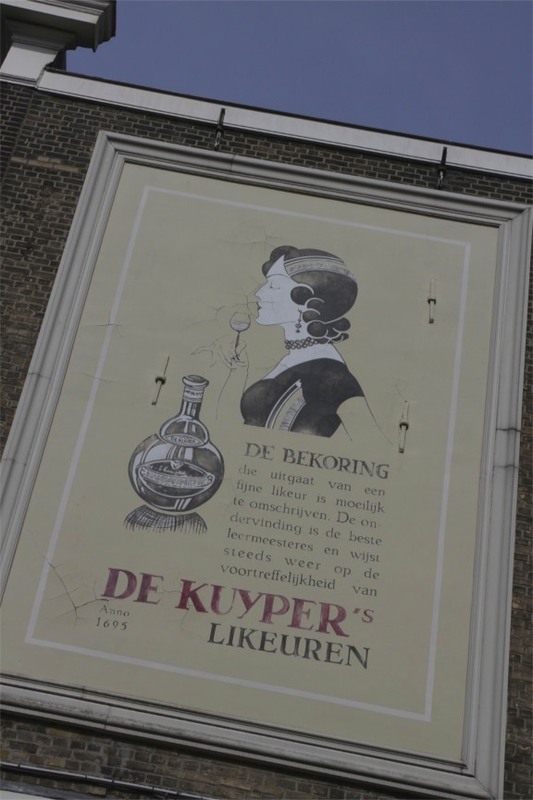 The Dutch say it was a Dutch doctor, Franciscus Sylvius, who invented the drink while working in Leiden in the 1700s; the Belgian’s claim it was invented in Flanders a century earlier. The Belgian jenever creation myth claims that were it not for the German occupation in the First World War, which brought jenever production to a standstill, and a misguided ban on the spirit after the war, it would be known globally as a Belgian drink. The implication being that the Netherlands cheated by not being occupied by the German army. 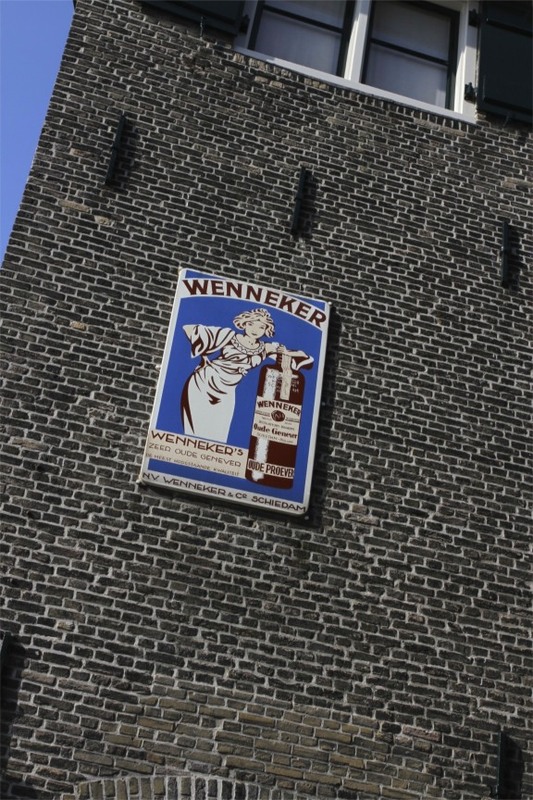 In Schiedam they care little for Belgium’s claims, proudly referring to the city as the jenever capital of the world. 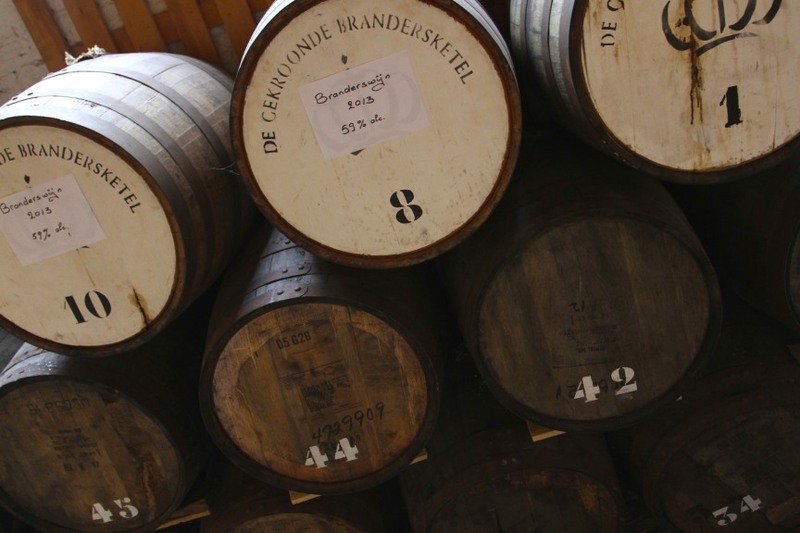 Towards the end of the 18th Century, the Dutch were exporting 4.2 million gallons of the stuff annually. 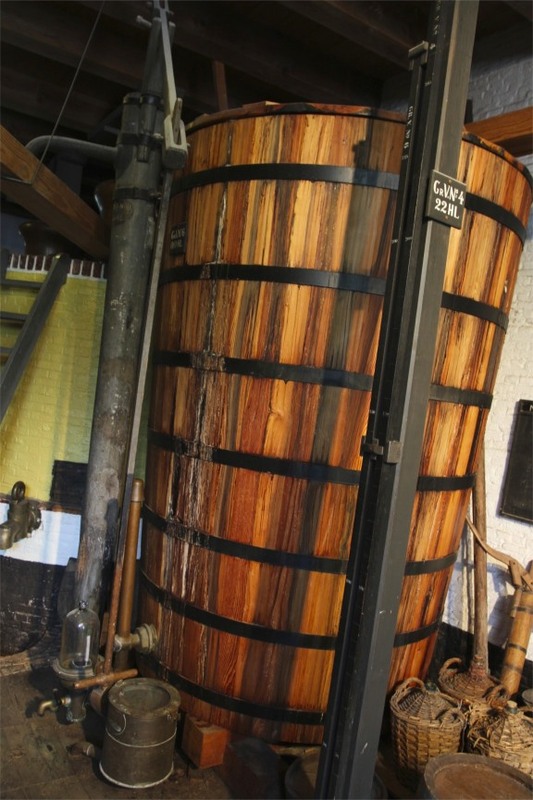 At that time there were over 200 distilleries in Schiedam and they sent their juniper tinged spirit to every region of the world. There’s a festival every June celebrating the spirit, with over 5,000 people visiting from around the world. 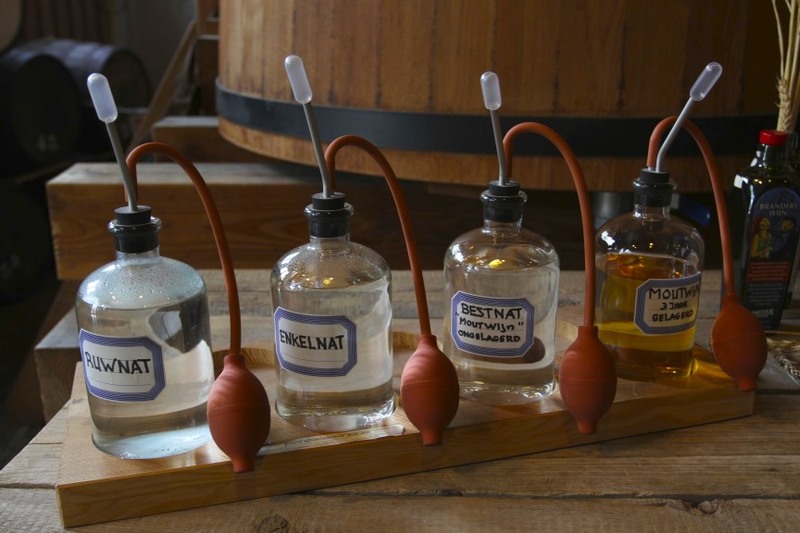 Of course, there are ‘rival’ jenever festivals in Belgium, including a big one in Hasselt every October. The EU might have to intervene at some future juncture to settle matters. Although this would most properly be resolved in a good old-fashioned bar fight. 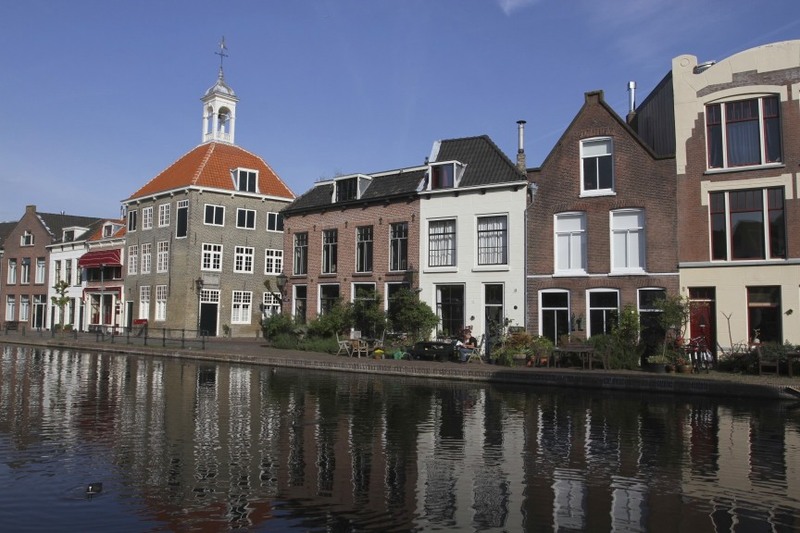 The legacy of jenever’s popularity over the centuries is evident in the old warehouses and beautiful town houses that line the canals of Schiedam. There was definitely money in jenever. 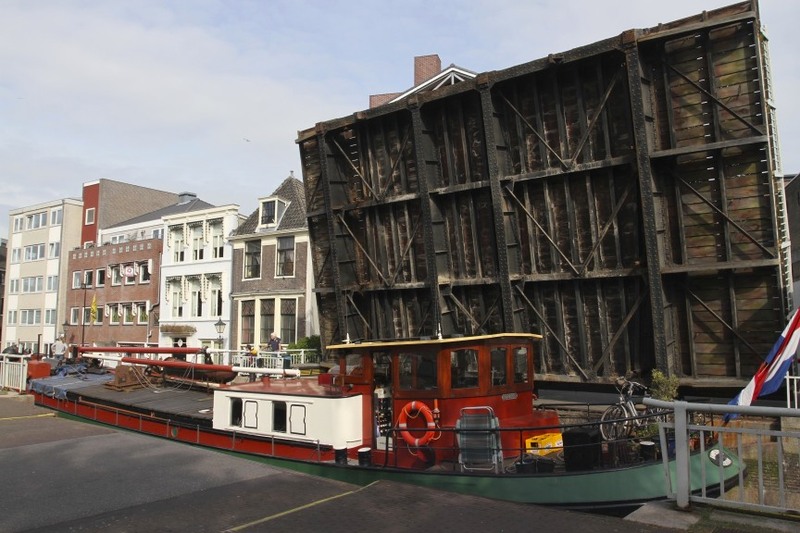 The Dutch barges that still line the canals are reminiscent of the days when vast quantities of grain would arrive by boat to feed the distilleries. Bottles of jenever would head in the opposite direction. 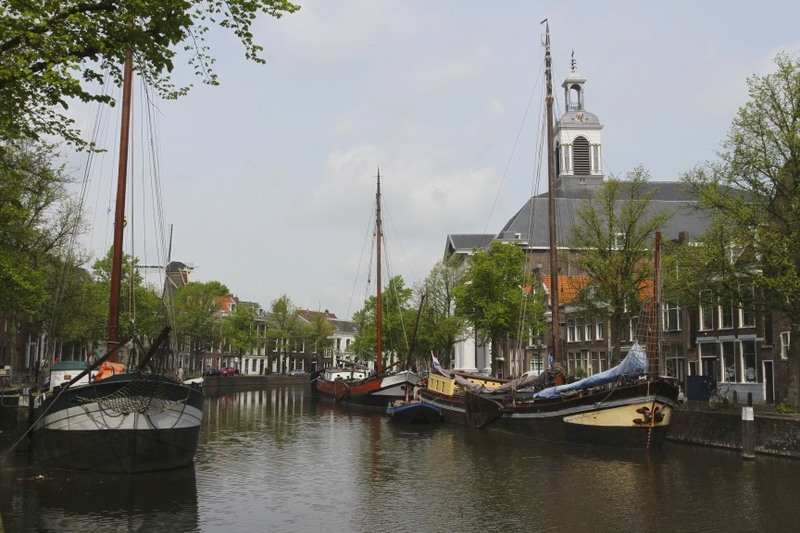 This is a lovely little town, well worth a visit. Perhaps in June when the gin festival’s in full swing! The Netherlands, land of windmills. It’s a cliché that has conviction because it’s also true. There are more windmills in this country than any other, yet some windmills are more equal than others. 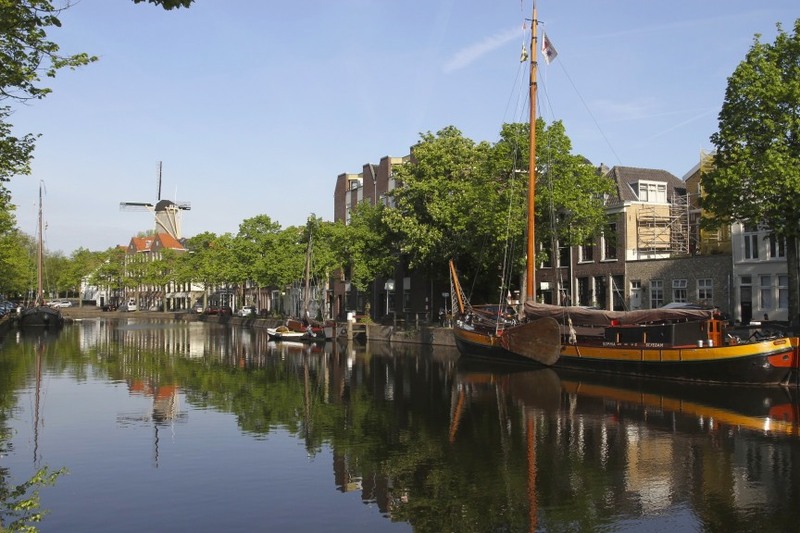 The windmills and magnificent rural scenery of Kinderdijk are well-known to the world; as are the working windmills of Zaanse Schans close to Amsterdam. 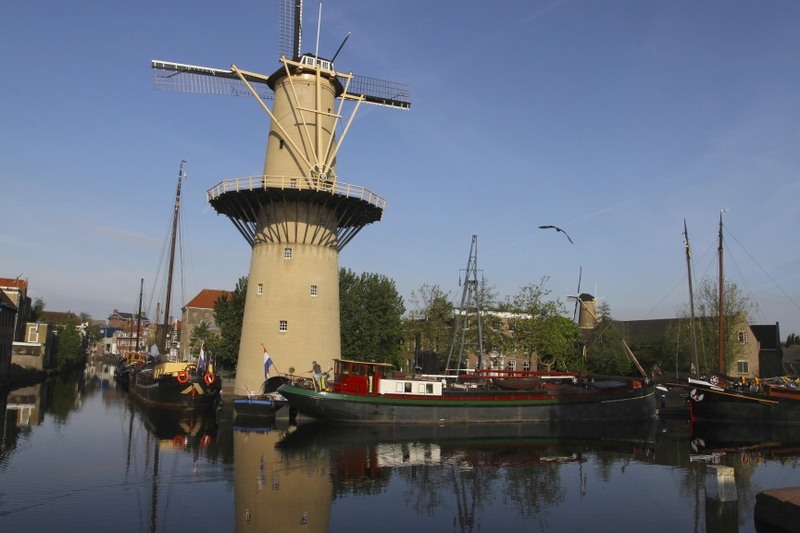 Schiedam, home to the tallest windmills on the planet, goes largely unnoticed by comparison. 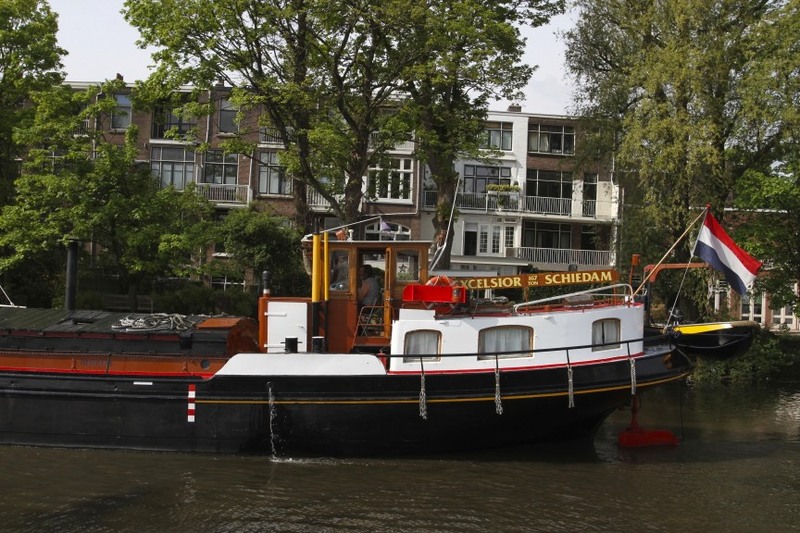 The benefit of Schiedam’s relative obscurity is that, even on a weekend at the height of the tourist season, there is a noticeable absence of visitors. Certainly not the tour bus hordes that can be found elsewhere in the Netherlands. 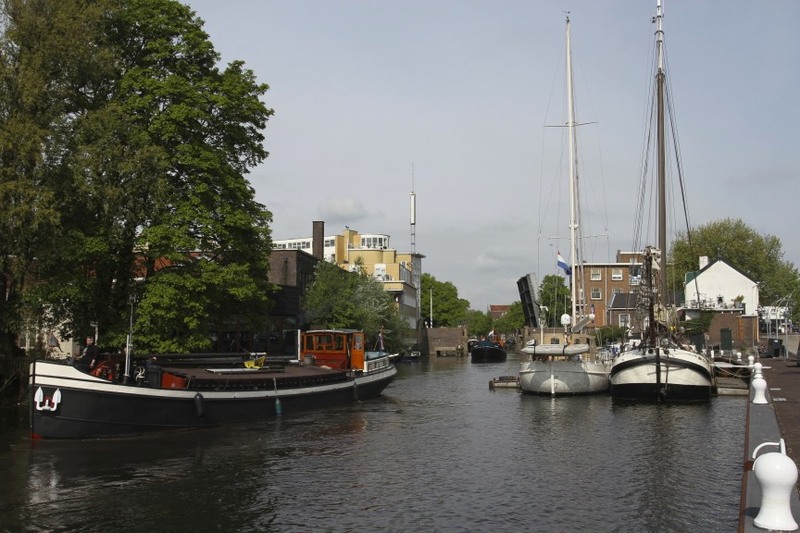 Even as midday approached, Schiedam was eerily quiet, as if the residents had decided to go to nearby Rotterdam for the day. This seems a great shame. 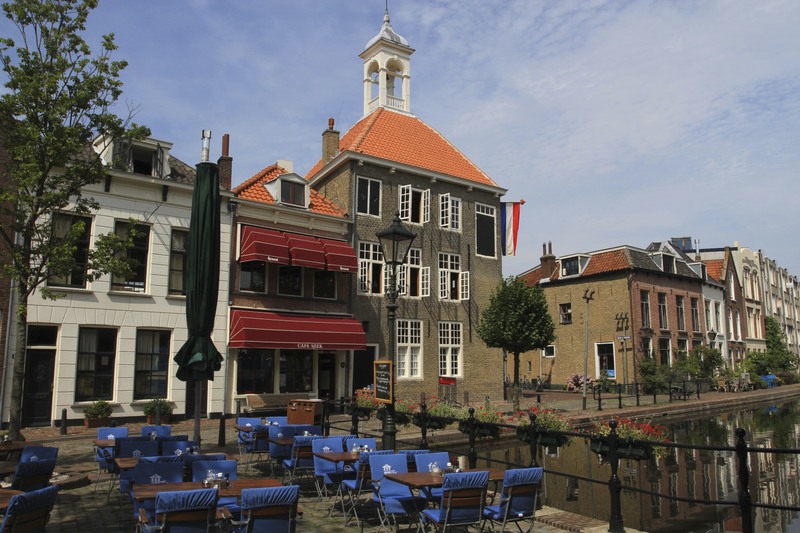 Schiedam is a beautiful small town with an historic centre full of centuries-old buildings and canals, and a pleasant main square with some good restaurants and cafes. 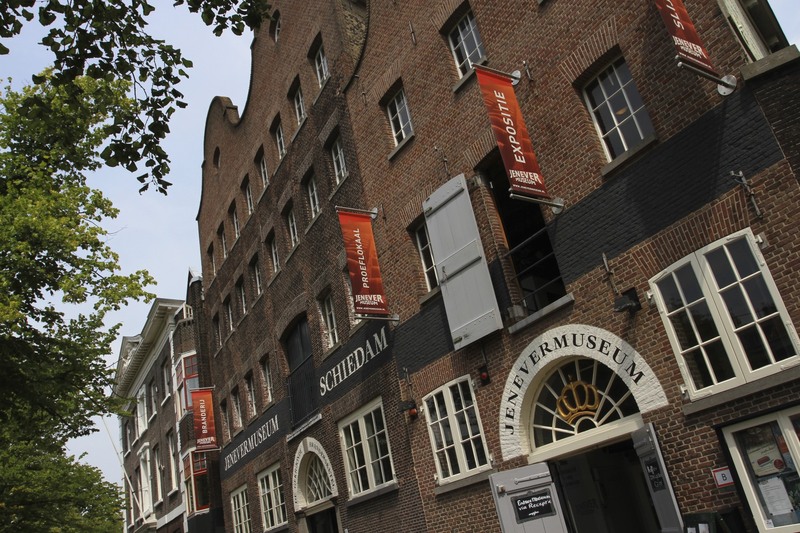 It also has a good museum dedicated to one of the town’s major industries – the making of jenever, the ubiquitous Dutch gin which, when consumed by English troops during the 30 Years War, gave rise to the term ‘Dutch Courage’. If that wasn’t enough, there are the world’s tallest windmills, in fact the world’s five tallest windmills, a couple of which open for visits. 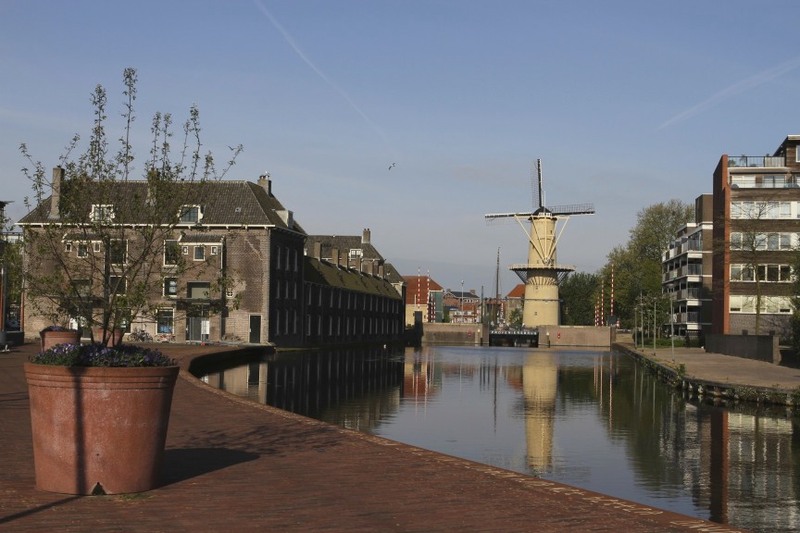 Walking from the station to the centre of town you can see the windmills towering gracefully over surrounding buildings. I’ve seen a lot of windmills in the last 18 months, but standing underneath Schiedam’s giants is a humbling experience. The windmills were built tall to better catch the wind. 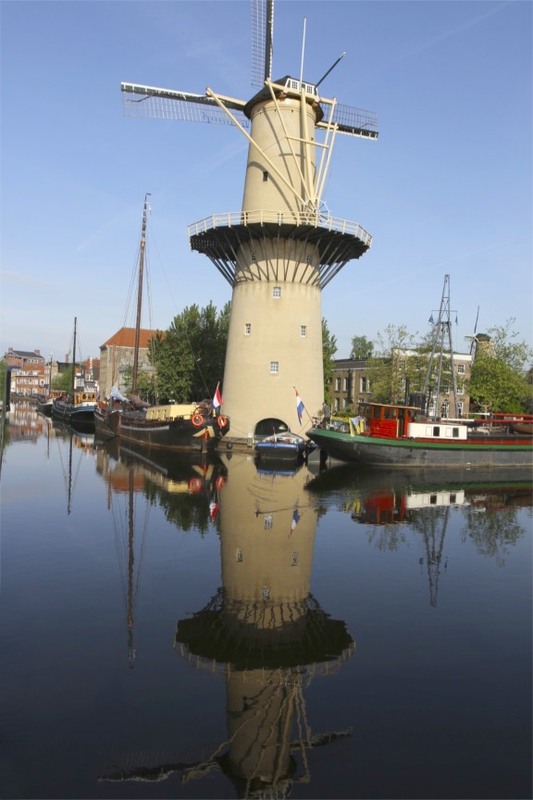 The tallest, De Noord, stands an imposing 33.3 metres, and is officially the tallest windmill in the world. 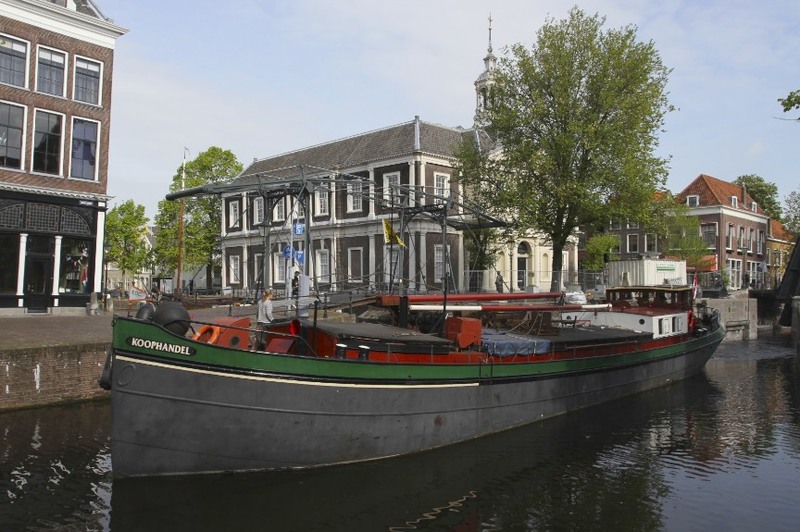 It looks like it could still grind the grain that went to make jenever but today it houses a restaurant, where at least you can try Dutch gin. Windmill De Walvisch (The Whale) is the only working windmill, producing a range of flour and flour-based products for sale. 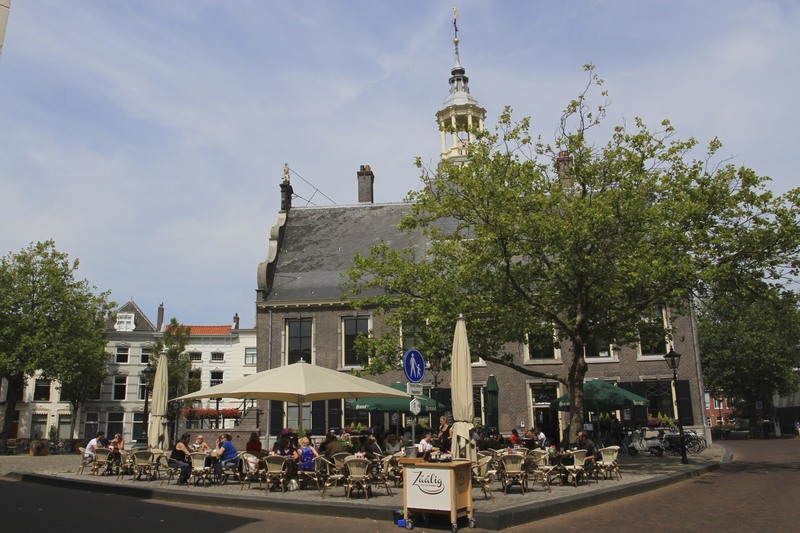 Arriving mid-morning we found our way to the main square and, after a gruelling 25 minute journey from The Hague, ordered some refreshments from one of the restaurants. Revived we wandered around the canal-side streets until we found ourselves confronted by a man wearing traditional Dutch costume. This, it turned out, was one of the ten people who now make up the once mighty Guild of Porters. The old Guild building was open and we could go inside and have a guided tour. 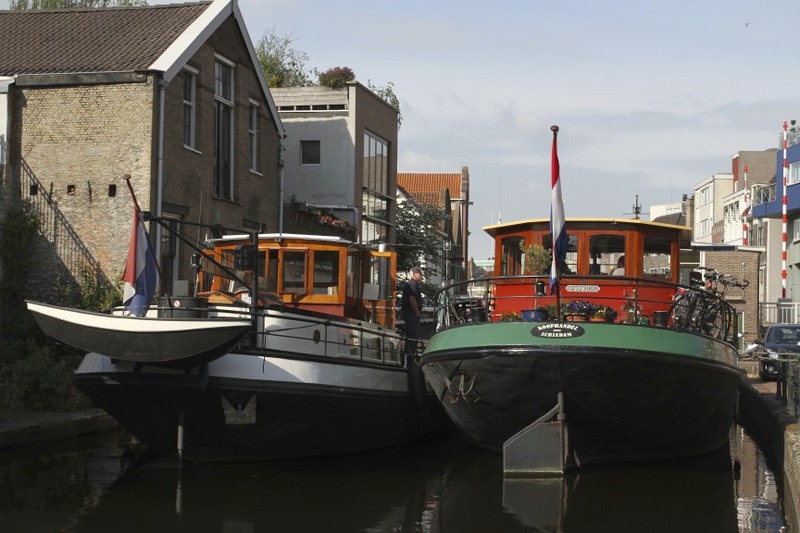 From the 14th Century onwards, the porters were the preeminent guild in Schiedam. When a ship needed unloading a bell would ring and members of the guild had seven minutes to reach the building to be allotted work. They used to carry barrels full of grain that weighed 80kg, which is basically the same as carrying me (perhaps with an additional kilo or two!). It was well paid and a prized job to have. Like all guilds, entry was difficult and strict, but once in you were looked after for the rest of your life. Essentially it was an early contributions-based welfare system. 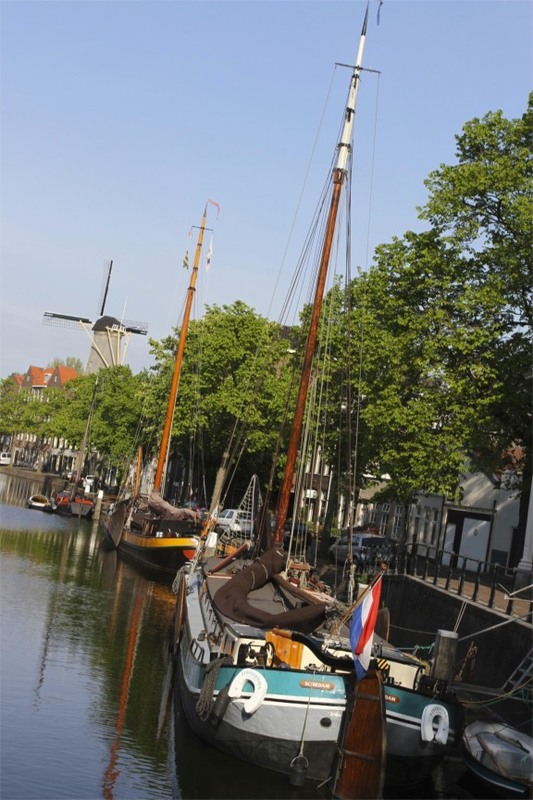 A fabulous history is just one of many reasons to visit Schiedam. 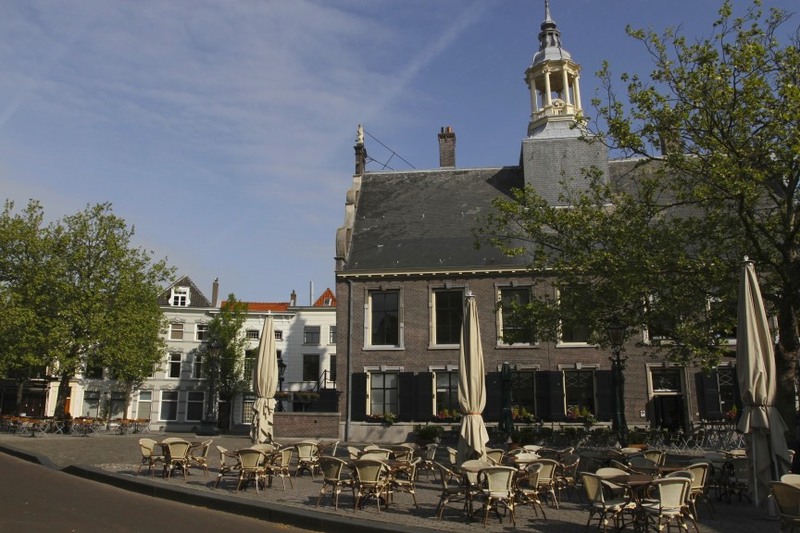 My personal favourite is that this lovely town is also home of the Patron Saint of Ice Skaters. This may seem like a pointless thing to be patron saint of, but the Dutch take ice skating very seriously. Saint Lidwina was 15 years old when she fell ice skating, her broken rib never healed and she was confined to bed for the rest of her days. Afterwards she’s alleged to never have eaten or slept – some 38 years – but happily shed bones and internal organs while bleeding copiously from the ears, eyes and mouth without harm. When she wasn’t doing this, she was giving succour to the poor and being a mystic who visited the Holy Land during ‘visions’. 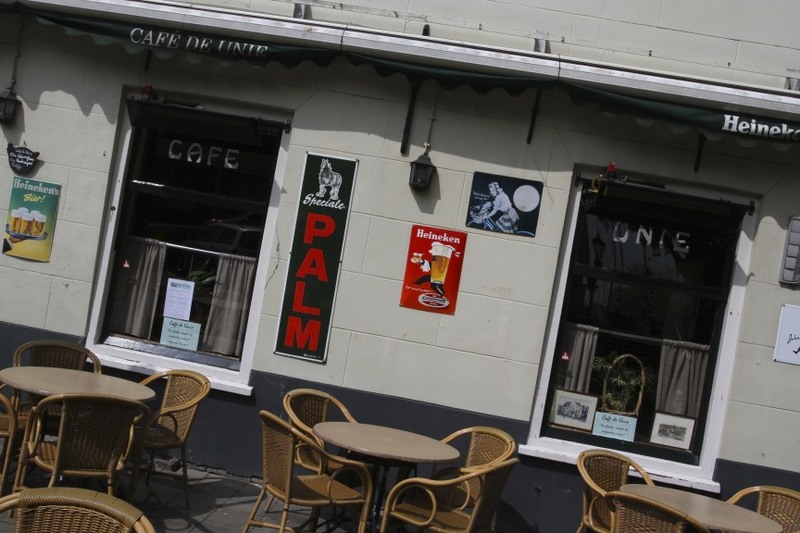 History is silent on the role of jenever in these visions.